Our Christian faith is under fire today in this nation. Our nation cannot find a common ground that will protect the citizens of America. We are living in a nation where the government is playing games, trying to control others and demanding their way. Childish games that are causing the American people to lose money, services and necessary help because of the child like actions of our national leaders. Even in this trying time, we have to remember that our God is always in control, even when others are constantly wanting to strip away our God given rights as believers, we can stand strong in our convictions knowing that God has a beautiful plan even when we don’t understand. My own personal life has had many tragedies, struggles, hurt, loss as well as everyday life challenges, but I look back and can now say that much of what I have faced in this life has been for my benefit even when I could not see the plan. I would never wish the suicides/murder/abuse/loss/anxiety/fear/agoraphobia on my worst enemy, but when God allowed those struggles and pain to enter into my life, He must have had a plan for it all. I recently told my friend, P.J. that if the only reason I went through such pain and struggle was to help one other person, then it has all been worth it. Can you trust even when you don’t understand? Can you see the positives even in the midst of the negatives? Can you look at your past and see the redemptive work God has done in your life even in the midst of a mess? 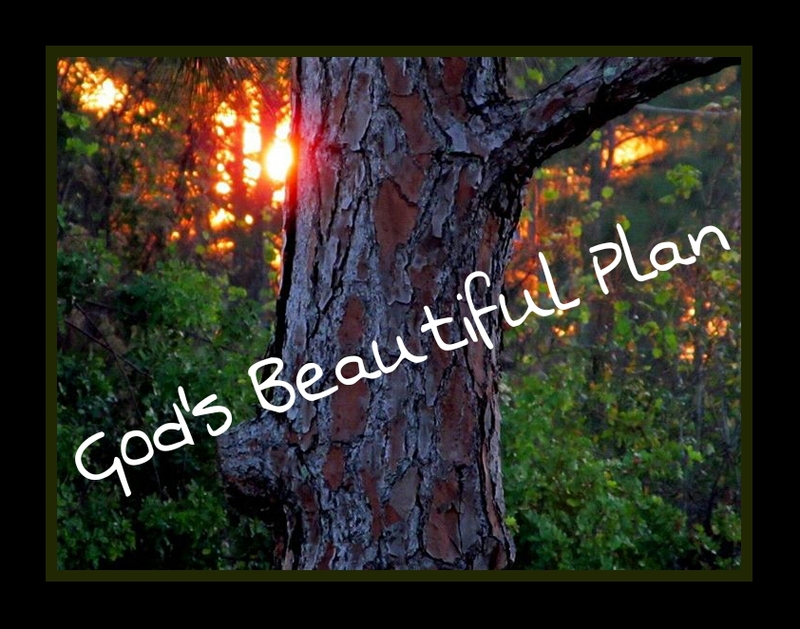 Can you see God’s Beautiful Plan? Today, I want to offer you hope. We may not understand the path our nation is currently on, but God is still in control. Our nation was founded on the Word of God and God still has the ultimate say in the final chapter. We have to continue to pray and seek God’s face and ask for our nation to be humbled. We may face more heartache and pain before all is revealed, but we must STAND. God has the final say and He is in control of the plan. Praying for you today. Be blessed and know that you are loved by a God who knows you by name. Do you ever question what you are here on earth to do? I know I have wondered that more often than I care to admit, but I have decided that I must live in the here and now all the while trying to find my calling from God.. Yet, when we question what God has called then we are basically saying that God has made a mistake and messed up when He called us to the assignment we have.. 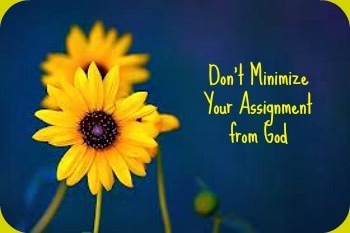 If we are questioning our current assignment then God will not call us to any other assignment. We will stay exactly where we are at in this time and place.. Nothing will change. We will stay frustrated, upset and wondering why nothing changes. and then God will direct us onto the next assignment or open doors to open in our current place of assignment. Your assignment will require wisdom. Wisdom is not something we are born with and nor are we born qualified for our assignment. There will be bumps in the road and bruises along the way, yet that does not mean we stop striving to fulfill the God ordained assignment God has given us to do in this life. Our assignment is something only we can accomplish. Our assignment will require us to solve problems only we can solve. Our assignment will require us to help others only we can help. Our assignment will require us to be love to someone else that maybe no one else acknowledges. Our assignment will require PAIN, PASSION and PURPOSE. Lord, today I want to offer hope for those wondering exactly what their purpose is for today. You know our hearts and you also know our desire to be worthy of your call on our lives. Help us today to not waste the time we have remaining and also do not let us lose hope in the call you have on our lives. We all have a purpose and an assignment from you. Let us stay strong and finish well.. We must stay focused and faithful in the small.. Lord, help me to remember that I am not where I used to be but I am also not where I want to be. Thank You for the wonderful gifts you have provided for my family in the last year on all levels. We are praising You. Thankful..